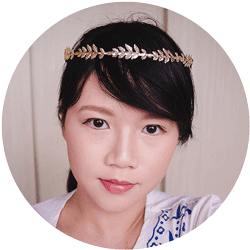 Do you enjoy owning cute and fashionable trinkets but are discouraged from buying them because of your tight budget? Or do you know someone who does? Well then, FavorDeal is just for you! 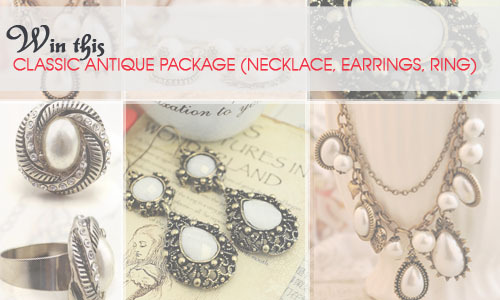 FavorDeal.com is a professional online jewelry and accessories store that offers wide selection of amazing fashion items from rings, brooches, earrings, necklaces, bracelets, and even hair accessories at a very affordable price. They even have items that costs $0.99 only! So at FavorDeal you can be "Fashionable Yet Frugal". Plus, they are shipping internationally at a very low price and you can even get free shipping anywhere via airmail if your purchase reached $15+. 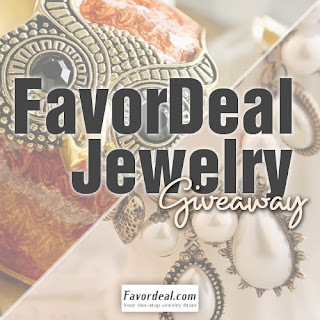 But the fun doesn't stop their because FavorDeal is giving away two bundles of jewelries to two super lucky winners. First Winner will receive The Vinatge Owl Set (worth $16.97) while the Second Winner will receive the Classic Antique Package (worth $14.97). Both prizes will be shipped to the selected winners for free anywhere internationally! This giveaway is open worldwide and will run until August 24, 2012. Just use the Rafflecopter Widget below to earn entries. The more entries the more chances of winning! Good luck! Disclosure: Prelel did not accept compensation for this event, nor is it responsible for shipment of prizes. Prizes will be shipped by the sponsor of the event, FavorDeal.com.